Mmm, I haven’t been to many beaches. Acapulco, Cancun, Cozumel, and Isla Mujeres — all in Mexico — come to mind. For Isla Mujeres, I recall how pretty the fish and the coral were for snorkeling. 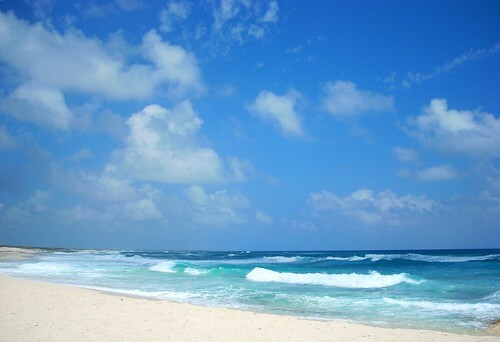 I think Cozumel might have been the loveliest, if I recall correctly. However, I’m a looooooong way from the size 7 that I used to be in a bikini, so this was a long time ago!